Welcome to the last installment of our massage series “The Many Benefits of Regular Massage Therapy”. In the previous article we looked at exotic and strange massages from around the world and despite the dizzying array of different massage techniques available, the overall benefits tend to be similar. Some effects have been scientifically proven while others are only widely believed. 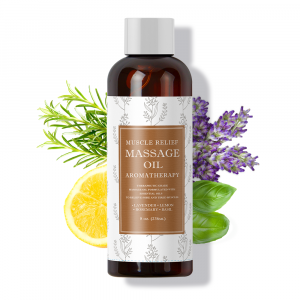 These perks can be achieved through regular massage therapy treatments from a properly trained and registered massage therapist, assisted and enhanced by the use of natural Essential Oils. Whether your need is to have a moment of relaxation, reduce muscle tension or attain relief from chronic pain, a therapeutic massage can enhance your overall sense of emotional, mental and physical well-being. It isn’t a big secret that life can be stressful. Everything from family interactions, to paying the bills or standing on line to buy your daughter that hard to find pair of shoes she really wants for her birthday. Massage therapy can be an excellent way to relieve the daily pressures that work, home, and family place on the mind and body, reducing physiological stress responses such as anxiety, mild depression and fatigue. This is a first step and goal in massages, because you must relax the mind, relieve the tension, calm the nervous system and the muscles will follow. The time to address chronic patterns of tension in the muscles is after you’ve achieved a deep state of relaxation. Treating stress with massage helps to relieve the pain caused by muscle tension, as the soothing touch also promotes a feeling of well-being and calm. 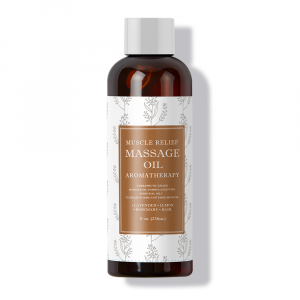 After creating the right relaxing atmosphere with music, using essential and carrier oils for scent and touch, your massage therapist will include a focus on and reduction of generalized body aches. Included in the massage session are a variety of methods some of which may require functional breathing, deeper focused pressure to reduce trigger point activity in muscles used for breathing and in the neck and shoulder area. During a massage, your soft tissues, skin, tendons, and muscles are manipulated, which provides stress relief by stimulating the body’s relaxation response. 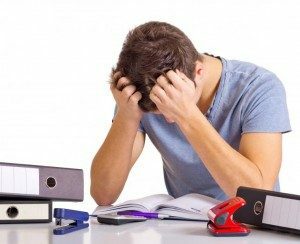 Experts have scientifically proven the link to stress and the exacerbation, and sometimes the cause, of various diseases people suffer from regularly. The normal wear-and-tear of time on our bodies is bad enough, but nothing ages us quicker, internally and externally, than high stress. While eliminating 100 percent of anxiety and pressure in this fast-paced world may not be achievable, massage can, without a doubt, help reduce stress to manageable levels. 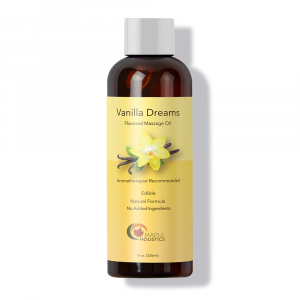 This directly translates into decreased anxiety, enhanced sleep quality, reduced fatigue, higher levels of daily energy and improved mental concentration. Relaxing muscle contractions, spasms, and alleviating general stiffness. Reducing blood pressure and increasing heathy blood-flow, releasing specific muscle tension and activating sensory receptors. Eliminating toxins built up within the muscles and skin. Triggering the body’s release of natural painkillers called endorphins, which help counteract the effects of stress and make us feel happier. 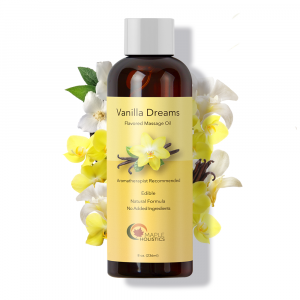 Stimulating hormone release of serotonin and dopamine that encourage relaxation, and decrease the production of the stress hormone cortisol. In addition to relaxing tense muscles and relieving the physical symptoms of stress, massage can help calm your mind and improve your mood. Beyond just immediate stress or pain relief, a massage can also accelerate our own natural healing process by increasing healthy blood flow throughout the body and releasing various helpful hormones. This is done without putting additional strain on the heart, as massage therapy will stimulate the nerves that control the blood vessels. A good Reflexology Foot Massage for example is an incredible healing force that can help alleviate many symptoms such as headache, insomnia, chronic fatigue, dizziness, as well as help treat the underlying cause of many internal diseases such as High blood pressure, Liver disease, Kidney disease, Heart disease, and many other ailments. Some of this can be attributed to proven physical and psychological effects, but we cannot ignore the power of the mind to believe in various treatments and energies that then through many of the stress relief points mentioned above help our general health. Massages can also be quite beneficial for pregnant women, who after the third trimester might begin to experience aches and discomfort. Pregnancy massage is designed to decrease tension and swelling and increase circulation for both pregnant women and those who have just given birth. An abdominal massage that involves applying pressure to the stomach and pelvic area is used predominantly to treat a displaced uterus but also infertility, painful or irregular periods, hormonal imbalances, bladder problems, constipation and ovary issues. Pregnancy massage helps by targeting specific areas of the woman’s body that needs to be relaxed or allowed more movement. As her body changes during this time it is important to prepare the body and aid the changes with these massages. Pumping oxygen and nutrients into tissues and vital organs, improving circulation, increasing the blood supply and nutrients to muscles without adding to their load of toxic lactic acid produced through voluntary muscle contraction. Helping increase the extraction (via the kidneys) of fluids, nitrogen and other harmful compounds. Helping empty the larger bodily ducts and channels, and decrease the auto intoxication resulting from inflammation or constipation; thus aiding and boosting the body’s immune system. Assisting with shorter, easier labor for expectant mothers and shortening maternity hospital stays. Easing, with proper medical consultation, medication dependence of certain medications. Enhancing immunity by stimulating lymph flow—the body’s natural defense system. Sedating the nervous system to help ease muscle tension, spasticity, stress-related symptoms and migraines. Improving the condition of the body’s largest organ—the skin, and promoting tissue regeneration, reducing wrinkles, scar tissue and stretch marks. Reducing post-surgery adhesions and swelling and discomfort. As I discussed in the first article about massage for lower back pain, accidents, repetitive actions, and everyday stresses can cause issues and pain that sometimes seem to take up permanent residence in our bodies. A more thorough, intense massage therapy can relieve both temporary and chronic pain, help heal certain conditions and prevent their return. Your massage therapist will integrate a variety of methods which may include a variety of pressure levels from light to deep targeting restoration of normal blood and lymphatic movement, normalizing connective tissue pliability to reduce stiffness, reducing trigger point activity and quieting the nervous system. Muscles can become so contracted that they press on nerves to the arms, hands or legs, causing pain or tingling. If this happens, a massage to release muscle spasms in the neck, shoulder or hip can bring relief. Massage can help heal injuries such as tendinitis, ligament sprains, or muscle strains. It reduces swelling and inflammation by helping to remove wastes and bring healing nutrition to injured cells. In addition, certain techniques can make old scar tissue more pliable and in new injuries, reduce its formation. Massage can relieve secondary pain that may accompany and even outlast its original cause. Some examples are headaches from eyestrain, backache during pregnancy, or the protective tensing or healthy muscles around an injury. Massage intended for chronic pain works by interrupting the cycle of chronic pain. When you have pain in a certain area of the body, the muscles tighten around that area to “protect” it, mobility is limited, and often, circulation is reduced. Additionally, pain that began with an injury or illness can cause emotional and psychological stress that exacerbates the pain and even remains after the physical condition has healed. Providing short term and long term relief to both temporary and chronic pain. Dispersing the edema following injury to ligaments and tendons, lessening pain and tissue damage. Separating muscle fibers via massage strokes, undoing or preventing the formation of adhesions, spasms, and trigger point pains. Relieve migraine pain by reducing stress and releasing helpful hormones. Though often not as appreciated as the others listed above, more intense massage therapy is a beneficial treatment for maintaining and improving flexibility and motion. By working on muscles, joints, connective tissues, tendons, and ligaments, regular massage can improve your flexibility and range of motion, keeping your body more fluid and making it less prone to injury. This therapy targets the stiff muscles in the body to alleviate the stress on joints. Once the muscles are effectively treated, the joint is free to function at its optimum range. The focus of these massage treatments is structured to provide ease of movement without pain, stiffness, or aching. Building on the “classic” massage foundation, your massage therapist will target joint movement and muscle function from the surface to deep tissue layers. This massage session may include methods using deeper pressure and movement to reduce trigger point activity, support normal myofascial pliability and increase flexibility in tissues that are short and stiff. Those who are physically active or beginning an exercise program will find that massage therapy that supports mobility will support a physically active lifestyle. These treatments loosen tight muscles that restrict joint movement. It also increases circulation to the joints, which can improve their general health and natural lubrication, and relieve pain from conditions such as arthritis. Massage releases restrictions in muscles, joints, and surrounding connective tissue coverings (called fascia). This frees your body to return to a more natural posture. Massage can also relieve the contracted muscles and pain caused by abnormal spine curvatures such as scoliosis. Massage treatments have been proven to set off a series of molecular events in muscles that help reverse discomfort related to exercise. The treatment can dampen the activity of proteins known as inflammatory cytokines, which cause inflammation and pain. It also increases levels of proteins that signal the muscles to produce more mitochondria, the cell structures that produce energy and help muscles recover from activity. Massage for chronic pain restores mobility by loosening tight muscles and trigger points and by lengthening muscles. Shoulder joints are at a high risk of sustaining injury from tight muscles. Due to our modern sedentary life, if you frequently slouch at your desk the muscles in your chest will tighten and contract which pulls the joints in your shoulders forward and causes joint problems to arise. Ankle joints are also at an increased risk of injury, reduced mobility, and pain from tightened calf muscles. Athletes, dancers, seniors, and people who live an active lifestyle usually find that regular treatments of proper massage therapy improve the functions of their muscles, connective tissues, tendons, ligaments and joints. Joint flexibility is critical in creating balance in the body and improving mobility. Tight muscles constrict and prevent a joint from performing its full range of mobility and over time the joint may start to weaken. Adhesion’s are formed in muscles due to tightness and tension. They can cause knots and restrict flexibility. Massage helps to realign the muscle fibers and break down these adhesion’s. This release restores movement and increases flexibility. Elderly people benefit greatly from increased joint flexibility which improves their balance and mobility to prevent possible falls which can, at their age, cause debilitating injury and even death. Exercise and stretch weak, tight, or atrophied muscles, increasing joint flexibility and improving range of motion. Correct skeletal problems, even reversing some degenerative spinal diseases such as kyphosis, scoliosis and lordosis. Improved posture then allows joints to move within their intended ranges and positions, reversing and / or preventing pain within them. Help athletes of any level recover from strenuous workouts, by loosening and softening injured, tired, and overused muscles. Relieve excess stress on the skeletal body including the spine. The reduced stress on the skeleton then reduces stress on the joints, alleviating pain. Compensate, at least in part for the lack of exercise and muscular contractions in inactive persons. Improve muscle tone and help prevent or delay muscular atrophy resulting from inactivity. As listed, the benefits of proper massage therapy are many, but in most cases, most of these will not be achieved by a single visit. Taking part in this form of regularly scheduled self-care can play a huge part in how healthy you’ll be and how youthful you’ll remain with each passing year. By now I hope you’ve realized that massages can really help maintain a good quality of life and budgeting time and money for treatments at consistent intervals is truly an investment in your overall health. And remember: just because a massage feels like a pampering treat doesn’t mean it is any less therapeutic. Consider massage appointments a necessary piece of your health and wellness plan, and work with your health professional and massage therapist to establish a treatment schedule that best meets your individual needs. We have looked at various massages for lower back pain, examined various Essential and Carrier Oils and their benefits, seen the difference between natural vs synthetic oils, checked out various exotic and strange massage techniques and now have taken a deeper look into the health benefits of massage. I hope you’ve enjoyed this journey of exploration into the world of health and relaxation massages and accompanying beneficial oils. Massages have become an integral part of my life, allowing me to enjoy a healthier, tension reduced existence. I hope it can do the same for you. Till next time, have a great day!